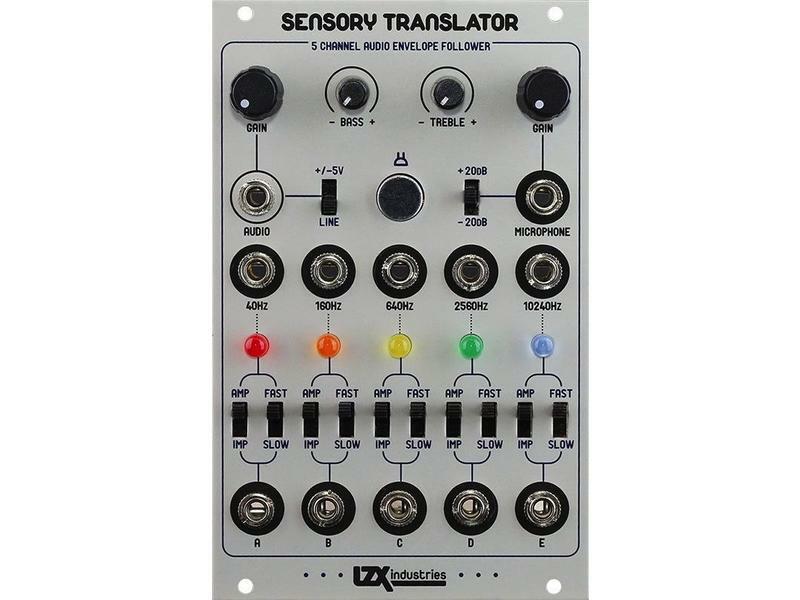 Sensory Translator is an audio-to-video interface module designed to generate a variety of visually rich animation control signals. The audio input and internal microphone are mixed together and processed by Bass and Treble tone controls before being fed into a bank of five 4-pole Band Pass Filters. These bandpass filter outputs are then processed by individual envelope followers. Each envelope follower has 3 decay speeds, as well as an Impulse mode for beat-to-trigger extraction. 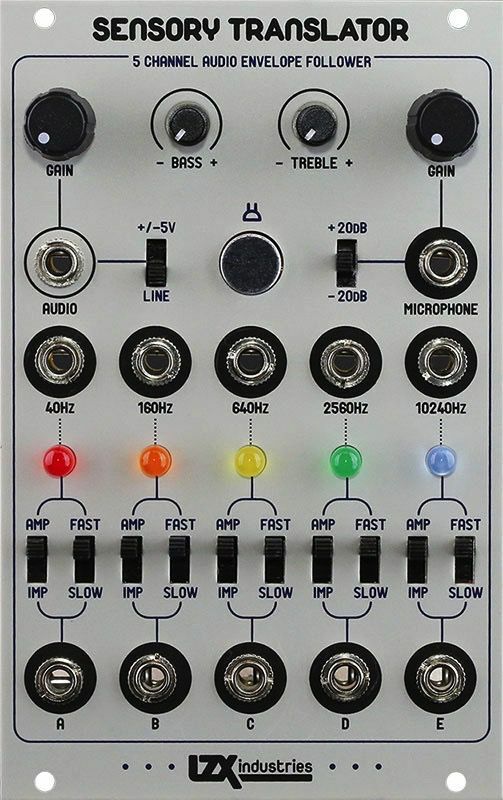 All signal paths and control ranges are compatible with standard EuroRack audio module signal ranges, so this module is equally at home in an audio synthesis system. • Omnidirectional electret microphone mounted on the frontpanel, 3 preamp gain settings and dedicated output. • External audio input selectable between line and modular level voltages. 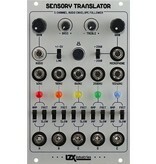 • 2-input mixer including equalizer with bass/treble controls. • Five 4-pole precision bandpass filters, each with 2-octave bandwidth. • Five envelope followers with three decay speed settings, dedicated LED indicators, and selectable impulse mode for beat-to-trigger detection.